Hey guys. I hope you liked my last post about temple theories. By the way, I liked your idea about the Forest Temple, Shora. It makes sense to me; the design can really fit into a castle. If you want regular updates on my blog, just click the follow button. Be the first one! And now, into the topic. My idea about how Ganondorf entered Kokiri Forest is vague. Unfortunately, no one emailed me or commented about it, which is what I would like everyone to do. If your idea is good, I will use it and mention that you gave me it. Firstly, I do not think Ganondorf entered the Forest using the main entrance. He would have been spotted. For those of you who have beat the game, you will realize that Ganondorf has many powers. I think that he can teleport, which is the only explanation of how he got to the Great Deku Tree without anyone seeing him. Strange, but possible. If anyone has any better ideas, email me or comment on them below, since I do not have any proof on this theory. My question today is: what exactly is Link's past all about? Email me your theories at my email or tell me them in the comments below. Thanks for reading! Forest Temple - For starters, I do not think this place even began as a temple or a place of worship. For those of you who beat the level, you would notice it looks more like a castle or mansion. There has obviously been some act that happened in this place that turned it to a temple. It is common opinion that the four poes in it have lived in the temple. Now, poes are "concentrated spirits of hatred", which means that these poes have done an evil act when human, and cursed the whole mansion. The creatures (or whatever lived in the Sacred Forest Meadow) have probably preserved it or simply stayed away from it and called it a temple. 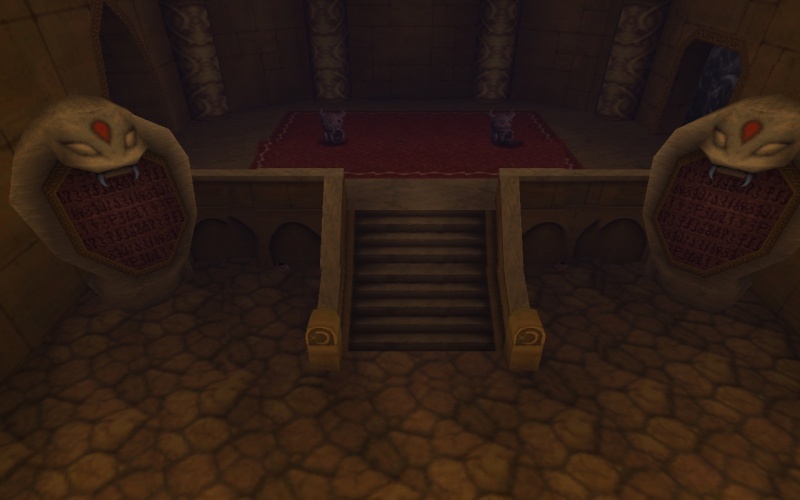 Fire Temple - The Fire Temple is located in the crater of Death Mountain, therefore, not many people can access it. The game actually explains it pretty well, saying that it is the place where a Goron hero banished Volvagia with the Megaton Hammer. So it clear, this place can be called sacred by the Gorons since a historical battle occurred there. But what is the mystery behind the original design? I can say that it held some resemblance with a prison because of the many cells, so it is my theory that an ancient tribe (possibly Goron) used it as a prison. 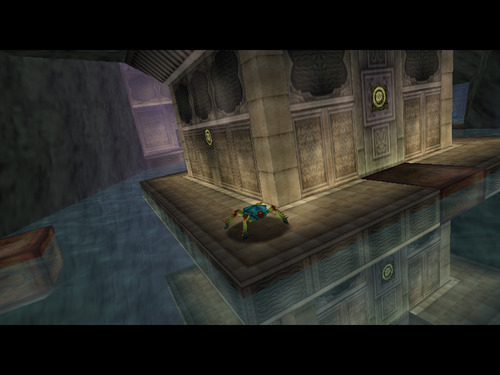 Water Temple - This temple was built to "worship the water spirits" according to Kaepora Gaebora, and the Zoras were the guardians. This explains a lot. It is most likely that the Zoras came to worship here, and almost no one else can access the temple supports this fact. So there is not much of a mystery here. But one thing that I hear (and see) many places is that the temple has many statues that resemble snakes. My theory: the water spirits resemble snakes. Simple as that. 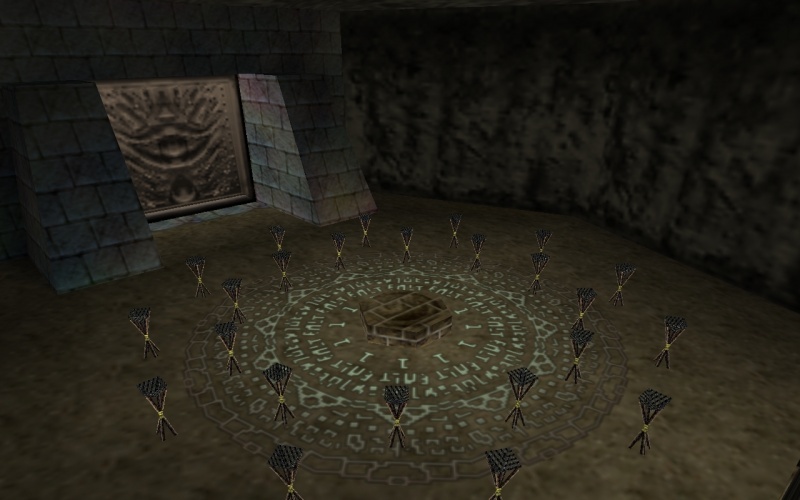 Shadow Temple - This temple is very mysterious and strikes up many conversations. The first question: why is called a temple? There are many explanations. This is a place where "gathers Hyrule's bloody history of greed and hatred". The Sheikah guarded this temple. My theory is that they banished all evil spirits into this temple, and Bongo-Bongo was the ultimate evil spirit. Another question is why is it designed the way it is? My theory is that this temple is where criminals were brought to be punished and executed in order to keep a peaceful Hyrule. The last question is: is the big statue of a raven a representation of a temple guardian? It could be. But I do not think so. The Sheikah have always guarded this temple. There is a simple explanation. Ravens represent fear and darkness. Spirit Temple - This temple is also not as mysterious as the others, but does have some mystery. First, let's get something straight. It was built by the ancient Gerudo ancestors as a shrine, and then was used by Ganondorf as a hideout. I am not sure to who it was a shrine, but I think it was for the gods they worshiped. I also do not think the snake statue in it resembles a guardian of the temple, but all the statues resemble different gods they worshiped. 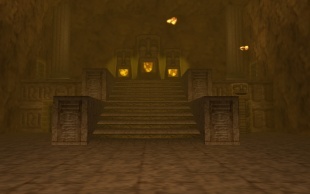 The temple also holds lots of treasure, and all of the enemies and monsters inside must have been enchanted to defend it by Ganondorf and his minions. So there are my theories of the temples in the game. My question today: how did Ganondorf get to the Great Deku Tree and manage to curse him? Email me your theories at the email in the first post or tell me them in the comment section below. Thanks for reading! Hey guys. 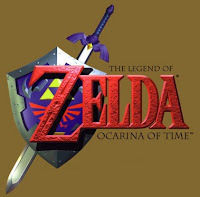 This new post will be all about my all time favorite game, Ocarina of Time. For those of you who haven't played it yet, you are missing out on a LOT. The story line is remarkable, and that's not to mention the actual game play. The dungeons are amazing, although most of you probably found at least one really hard. 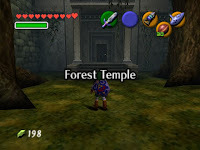 The music is memorable, with the best songs coming from places such as the Forest Temple, Spirit Temple, and Hyrule Field. And no one can forget the whole Fire Temple music controversy (don't know? Just comment or email me at the address in the first post). Now to get to the interesting stuff. Did you guys know that young Link is actually 11 years old and adult Link is 18 years old? Not a well known fact. Another fact, did you know that there are 100 Gold Skulltulas in the game, and you can always find one if you drop some bugs in those brown patches? If you do end up getting all of the Gold Skulltulas, you can go to the Skulltula House and get a Big Rupee from the man in the middle whenever you want. Pretty cool. Anyone need any help on how to get a weapon or beat a level? Ask me. I beat this game more than once and with all the weapons, so I am the right guy to ask. If you guys want any specific topic you want me to discuss, just email me about it. Like I said earlier, I've uncovered a load of this game's secrets. So keep in touch. 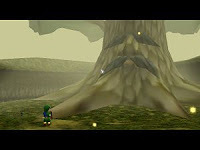 Welcome to the newly made blog The Legend of Zelda. I made this blog to meet new Zelda fans and share my knowledge of this awesome game. I don't mean to brag, but I think I uncovered many of this games secrets. Any questions are welcome, and I hope to answer all of them. I will try to keep my blog going and up to date. Any questions you have, email me at zeldafacts@hotmail.com. Please leave any comments below. Thanks for all of the support! P.S. 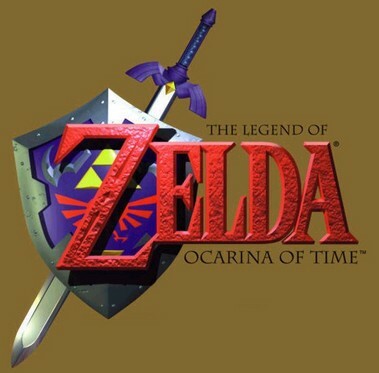 I mainly play Ocarina of Time and Majora's Mask, but I also played and owned many other Zelda games, such as Minish Cap, Wind Waker, A Link to the Past, and more.